Well before San Diego’s Little Italy became a hotspot in the early 2000s, Joe Busalacchi, founder and president of Busalacchi Restaurants, saw its potential. That’s why, in 1993, eight years after the Sicilian immigrant opened his first namesake restaurant in Hillcrest, Busalacchi, with the help of his brother Frank Busalacchi, opened Trattoria Fantastica. And more openings followed. Impressed with Trattoria Fantastica, other landlords in Little Italy, which didn’t have many businesses to boast at the time, began to offer the Busalacchis inexpensive rental opportunities in hopes of boosting the value of their properties with a Busalacchi restaurant. Before they knew it, between 1984 and now, the Busalacchis have opened and operated 9 restaurants up and down the budding Little Italy streets. In 2017, the 3,000 square-foot Trattoria Fantastica, a traditional Italian eatery, was made over into what today is called Nonna, a rustic comfort Italian food spot. Today, after condensing the family-run business due to rising property rental prices, the Busalacchis own three successful food places —Barbusa, Nonna and Café Zucchero— in Little Italy; according to the Little Italy Association, 2001 is considered the year the Italian enclave began to expand and develop. And, in 2014, it was named the 10th most popular neighborhood in the U.S. for millennials by Forbes Magazine. Joe and Frank Busalacchi have taken a backseat and now; Joe’s sons Peter Jacob “PJ” Busalacchi and Joey Busalacchi, general managers of Barbusa, and Frank’s sons Nino Zizzo, executive chef, and Vince Busalacchi, general manager of Nonna, oversee the operation. 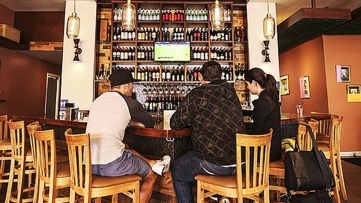 With headquarters in Mission Valley and about 200 employees, Busalacchi Restaurants had annual revenue of about $8 million to $12 million in 2018. PJ Busalacchi projects the restaurant group will have a growth of about 20 percent in 2019. The 4,000 square-foot Barbusa is doing triple in revenue than Po Pazzo did in its final years running, according to general manager and partner, PJ Busalacchi. But longevity hasn’t come without its share of tribulations. PJ Busalacchi said despite stepping down and enjoying the fruits of his labor these days, it has been difficult for his father to sit back and watch some of the changes that the younger Busalacchis have made to the family restaurants. 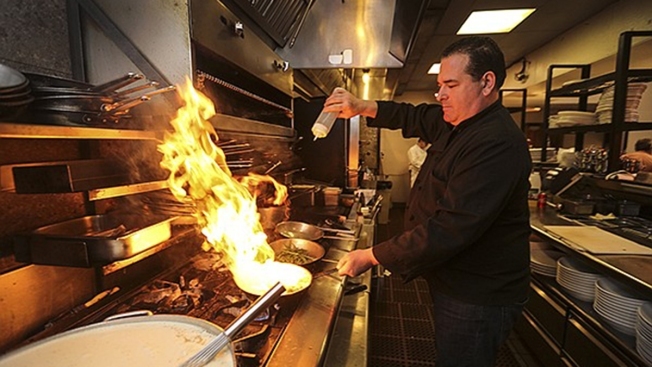 After 14 years in business, Po Pazzo Bar and Grille, the family’s steakhouse, was converted into Barbusa, a modern Italian food place, in 2016. In 2017, the 3,000 square-foot Trattoria Fantastica, a traditional Italian eatery, was made over into what today is called Nonna, a rustic comfort Italian food spot. Miro Copic, a marketing professor at San Diego State University, said although it is typical for the founder of a company to feel uneasy when passing down the business to anyone else, family or not, businesses have to do whatever is necessary to stay attractive to customers. 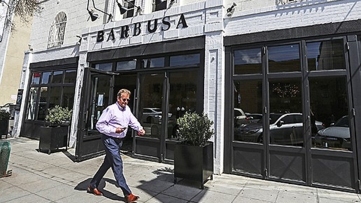 After 14 years in business, Po Pazzo Bar and Grille, the Busalacchi family’s steakhouse, was converted into Barbusa, a modern Italian food place, in 2016. 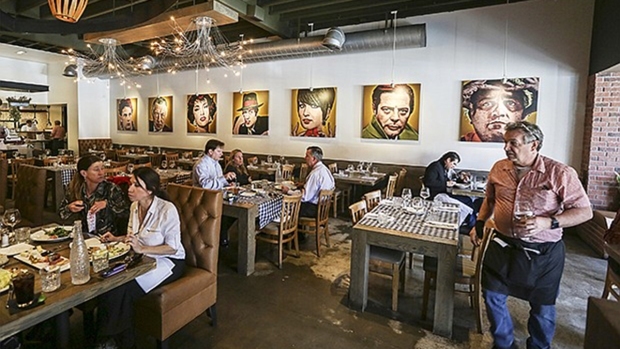 Copic said Little Italy has grown, meaning it now stretches past the India street boundaries. Since it is more of a hangout area and there are more restaurant offerings to choose from, companies like Busalacchi Restaurants have to make sure they are not just getting reservations from those that know the name, but also from walk-in traffic which needs to be enticed by atmosphere as well as menu options in order to dine there, he said. Generational clashing aside, all has fared well for the Busalacchis and their business. On any given night, the Busalacchi restaurants collectively serve between 500 and 700 patrons. In fact, PJ Busalacchi said the 4,000 square-foot Barbusa is doing triple in revenue than Po Pazzo did in its final years running. He not only credits that to the revamping, but also to the family’s continual focus on treating each customer as kinfolk. He said a Busalacchi is always around, shaking hands with the customers and making sure they are having a good time. Company Description: A family-owned restaurant group that currently has three restaurants in the Little Italy neighborhood.